Western Nut Company's unique product and inventory management system allows us to offer our customers superior quality and unmatched consistency. We do not commingle our almond inventory after receiving product from our growers. This policy provides us with precise control in selecting appropriate quality almonds that exceed the specified grade for each shipment. Also, we understand that timely delivery is crucial to a successful relationship with our customers, and Western Nut Company takes pride in our ability to ship quantities our customers require without compromising quality. We are positioned to take advantage of multiple processing and shipping options strategically located throughout California. This flexibility is directly linked to our superior customer service in the promptness of shipment. 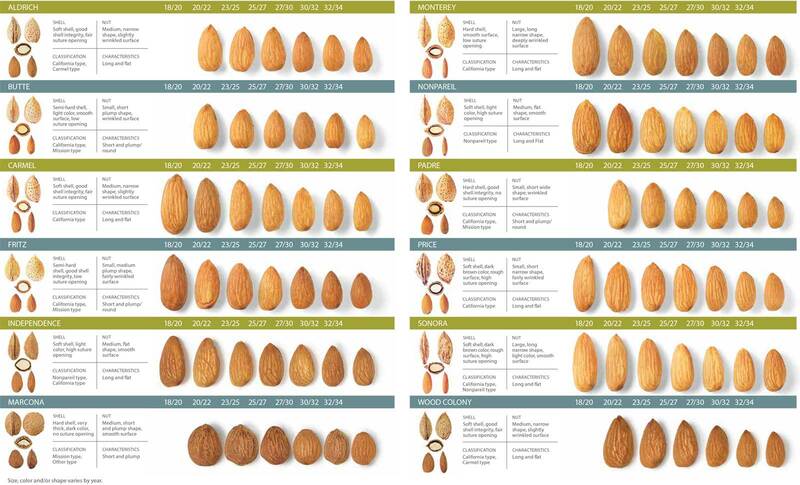 Western Nut Company packs all major varieties, grades and sizes of California natural almonds. 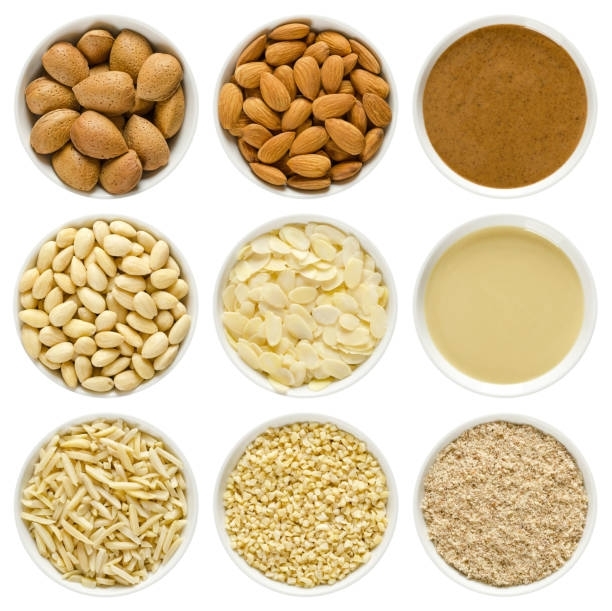 We offer natural almonds sized or unsized in assorted grades. 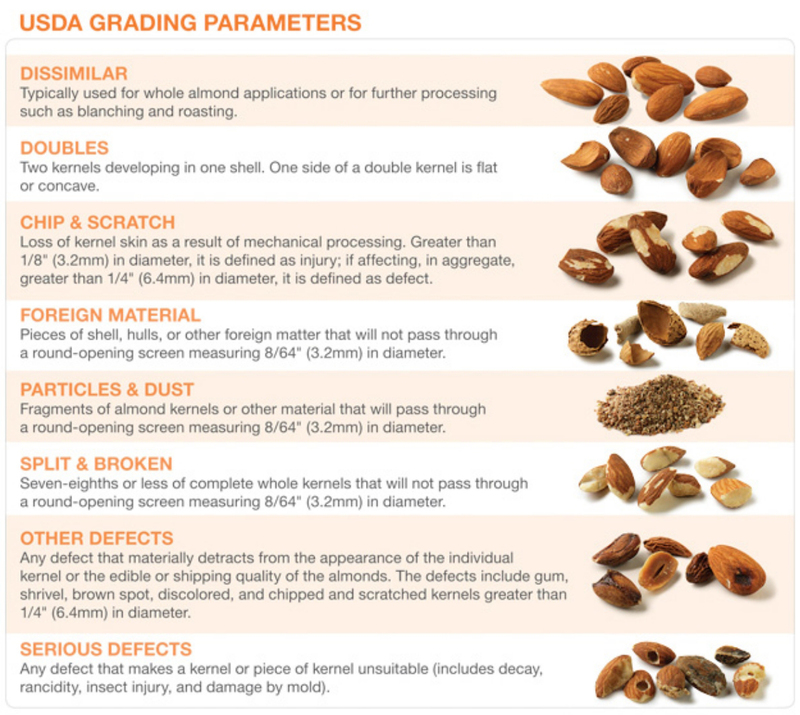 When ordering natural whole almonds, specify your choice of variety, size and grade. 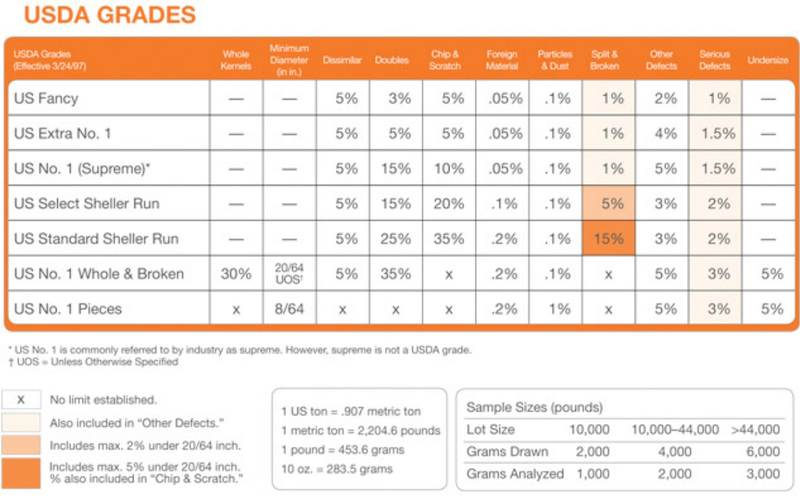 Although the USDA sets very high standards, Western Nut Company has a solid reputation for being "above standard". We pride ourselves on this reputation because we will accept no less than "above standard" product.